Coaster awards given to age group winners. 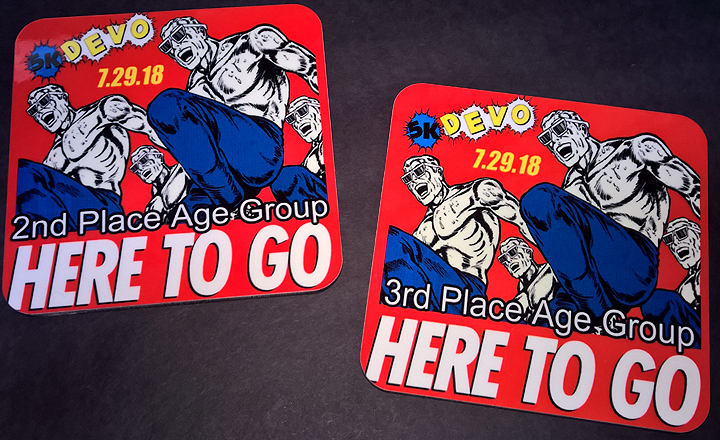 5K DEVO 2018. July 29th - Downtown Akron, OH.